Not only does Architecture for Humanity improve people's lives through architecture and design, but they have time to write books about it. Only six years after their first book comes Design Like You Give A Damn : Building Change From the Ground Up, a second work which chronicles over 100 projects from around the world that address issues such as disaster reconstruction, shelter, education, and the basic needs of communities. Edited by the amazing team at Architecture for Humanity and published by Abrams, DLYGAD goes more into detail about how each project came about and provides an informative source from which communities can learn to accomplish their own projects just the same. 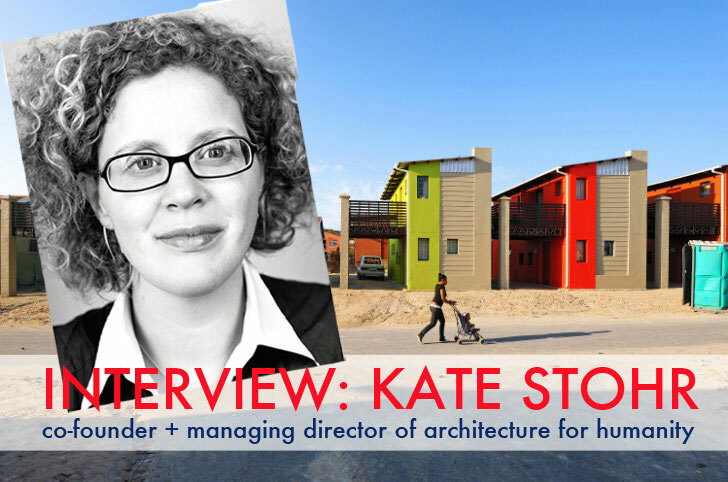 Recently we caught up with Kate Stohr, co-founder of Architecture for Humanity, to find out more about this second book and the things she learned while working on it. PLUS, we're giving away a copy, so read on to hear Kate's answers and learn how you can win a book of your own! Inhabitat: What were you trying to accomplish with this second version of your book? Kate Stohr: Well, things change with time and people do actually learn a thing or two. The first time we did the book, there really was no one place that had great precedent studies of community design. There were a lot of academic white paper type things, but nothing that connected great pictures of the project with what it cost and who built it. Since the first edition, I think there is now much more interest in the field and so there are some good resources out there to learn about projects. With the second edition of the book we were much more focused on how these projects come together. So, you’ll see a handy chart of financing structures in the front of the book and really in depth (if concise) looks at how some of these complex projects came together and who the stakeholders were on each. For example, we really didn’t focus on the beautiful design of the High Line project in New York City, which many people are familiar with at this point, but rather the complex roadmap of stakeholders needed to bring a project of that sort to life. We’re hoping that looking at the projects from this angle will help people replicate some of the success stories included in the book. Inhabitat: It’s no surprise to us that you were able to find as many projects as you did, but what surprised you while compiling all the projects? Kate Stohr: I was surprised by the number of spiritual and memorial spaces that came forward during the process. That wasn’t initially included as a section in our original table of contents. However, they were just so great. I think something about the last few years required places for contemplation. The fear after the 9/11 attacks, the wars in the Middle East, the on-going conflict in places like the Congo — this was not an easy few years. I think we forget about these sometimes very small spaces and how important they are to us and are understanding of our place in this constantly swirling, churning global world. 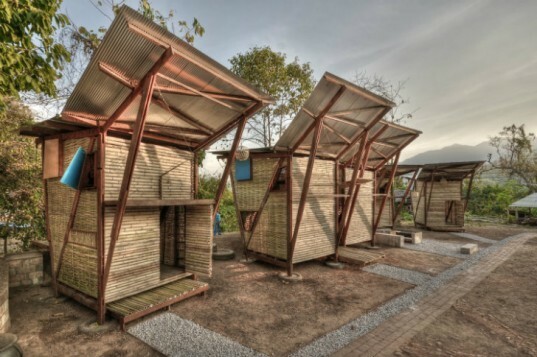 Inhabitat: What did you learn from this latest round of amazing humanitarian design projects? Kate Stohr: Well, I got the happy assignment of writing the finance essay. So lets just say I learned a lot. I had actually written quite a long, in-depth essay based on reading dozens and dozens of extremely turgid white papers and reviews on everything from housing micro-finance to community benefit packages and tax increment financing. Then, at the ninth hour we needed to cut to meet our page count. Suddenly what was an essay became a handy dandy chart. And, you know what, I can honestly say, I don’t think the reader is missing anything in the translation. In fact, I am wondering why no one did that a long time ago. Just think how many trees we could have saved. The other interesting piece of that is that I looked back at historical financing structures. When I did that, I discovered what is now my new favorite cocktail party factoid: Did you know that for the bulk of the past 500 years the main financing instrument for the construction of institutions such as hospitals, churches and schools was not loans or charitable giving or tax dollars, but rather, the lottery? In fact, during the colonial era in the United States, many of our top universities were built with funds derived from government sanctioned lotteries. 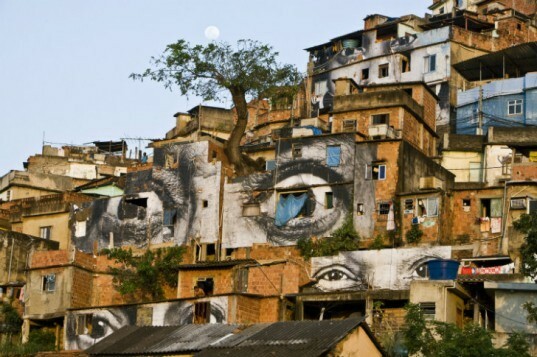 Inhabitat: What were some of the most interesting projects you came across and why? Kate Stohr: I think the Marsupial Bridge & Media Garden designed by La Dallman Architects struck me the most. It wasn’t a project I’d seen anywhere before and the idea was so brilliantly, elegantly simple. I also love the project on school lunchroom design by a group of smart researchers up at Cornell. VPUU’s use of GIS mapping to reduce crime in Cape Town. The review of transitional housing Haiti that Architecture for Humanity’s Haiti office did in partnership with Habitat for Humanity was really smart because it showed how to fix the problem instead of just pointing out the issues. I also really loved Jeanne Gang‘s use of concrete for the SOS Village project in Chicago. Ok, yeah, they are all my favorites. Inhabitat: Were there any notable trends that surfaced these last few years? Kate Stohr: The practice of community design is happily getting more sophisticated and there are many more professional practitioners sharing their work and thinking through tough development issues like land transfer and tenure, use of GIS to map all sorts of indicators that can be used to better adapt the built environment to the common good. There are some great examples of reuse and recycled materials that I think are only going to become more pervasive, cost-effective and innovative. Inhabitat: What emerging design communities should we watch out for? Which ones impressed you the most? Kate Stohr: If this were the Oscars, I’d have to say New York City swept the awards. Amanda Burden’s team has something going on. New York was featured no less than six or seven times for innovative community design projects that have been undertaken in the last five to seven years. It’s truly impressive. A more general and equal second would be the South American community design movement which is transforming slums into engines of economic growth. Colombia saw an 800% increase in their GDP and invested in beautiful cities such as Medellin and Bogota that are going to be able to compete for and win jobs in the global market. Think about it, the digital revolution has made us freer than we have ever been to live and work anywhere. All of a sudden community design, which might have been an afterthought, is going to be a major factor in determining which cities thrive and which stall or decline. If I were a mayor in any major city today, I’d be reading this book as a who’s who guide to making my city more competitive. Inhabitat: What’s up next for Design Like You Give a Damn? Kate Stohr: Ah… Yes, well, here’s the thing. Hopefully enough people will buy the book and donate to Architecture for Humanity so that we can stick around and do another edition in a few years. By then, I may have recovered from reading all of those white papers on financing. Milad Haghnejad, from the design team, stands inside a completed bamboo shelter. Bundles of rice stems are tied to bamboo stalks on the exterior for climate control. The siding of the Soe Ker Tie Hias (Butterfly Houses) features a local technique of weaving bamboo. The 10x10 houses in Freedom Park, Mitchell Plains, Cape Town, South Africa. The ZEROW House on the National Mall. Once an unused, unsafe space, the new Urban Plaza under the bridge hosts a Media Garden and is a vibrant neighborhood gathering space. 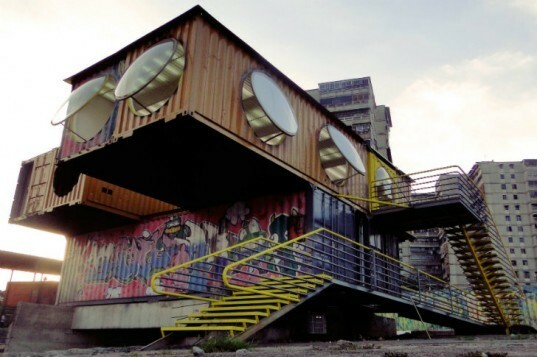 Innovative, reused shipping containers create the structure. The Bridge School connects the banks of a small river. The round building in the background is a tulou, a 400–year–old fortress. Colorful painted rays decorate the exteriors of 34 houses in the hillside slum Praça Cantão in the center of Rio de Janeiro, Brazil. Artists Jeroen Koolhaas and Dre Urhahn (Haas&Haan) enlisted locals to help create the artwork spanning 7000 square meters.